Seventy-five years ago a young digger from Essendon made his way ashore at Pylos harbour on the south-western coast of the Peloponnese. While hundreds of Allied soldiers had died, Bill Rudd had just survived one of the tragedies of WW2 – the torpedo attack on the Italian transport ship Nino Bixio. 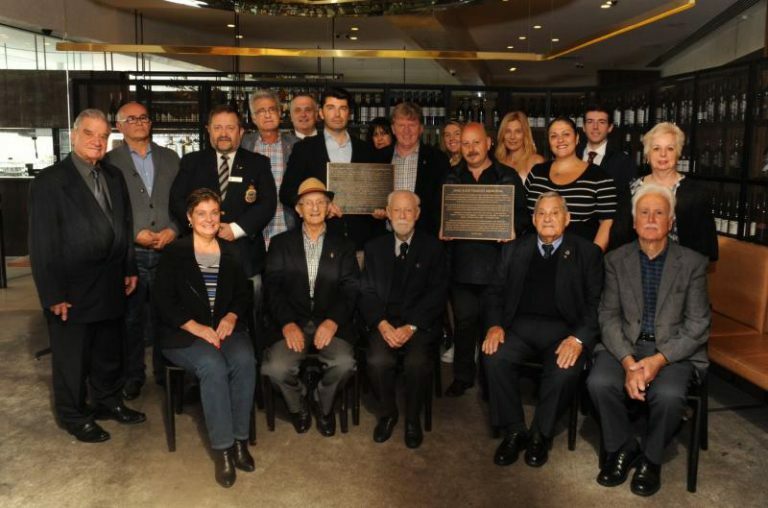 This week, Bill was joined by members of Melbourne’s Panpylian and Pammessinian communities and others to celebrate both his 100th birthday and the unveiling of two bronze plaques commemorating the Nino Bixio tragedy of 1942 and the Sebastiano Veniero-Jason off Cape Methone of 1941. The event was hosted by Oakleigh’s Vanilla Restaurant and attended by many members of Melbourne’s Hellenic community. In attendance were George Saratsiotis and Rita Lambros, president and vice-president of the Panpyliaki Brotherhood ‘Navarino’ and Ioannis Mitsakos, president of the Pammessinian Brotherhood ‘Papaflessas’. Other attendees included Christina Despoteris, vice-president of the Lemnos Gallipoli Commemorative Committee; Ange Kenos, president of the RSL Essendon Sub-Branch; Paul Mavroudis, president of the Thessaloniki Association ‘The White Tower’ and Nikolaos Kydas, vice-president of the Lemnian Community of Melbourne and Victoria. Amongst the others present were Tony Patidis; Deb Stewart, granddaughter of Australian nurse Evelyn Hutt who served on Lemnos in 1915; Dimitrios Saratsiotis, a Greek veteran of the Korean War; and Angelo Kalomiris and John Salpigtidis who, as young boys, witnessed the German occupation of Greece in WW2. 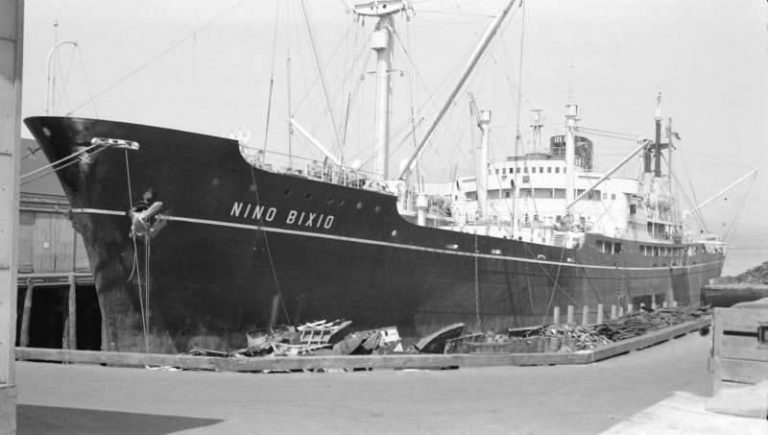 Italian transport ship Nino Bixio. Melbourne lad Bill was a young sapper with the Australian Engineers and had been captured during one of the fierce engagements that formed the great battle of El Alamein. In waters 12 nautical miles south-west of Pylos, at 4.33pm on 17 August 1942, the Nino Bixio was torpedoed by an Allied submarine. Only days before, this same submarine had been taking on and dropping off Allied SOE agents and Greek resistance fighters on Crete and the mainland. Bill remembers “a sudden tremendous thud and the “whoompf” of the torpedo bursting into the hold.” As he made his way to the main decks with the rest of the survivors, Bill witnessed more destruction and the bodies of the dead. Over 300 of Bill’s comrades were killed in the ensuing tragedy – Australians, New Zealanders, and other Allied troops. Many were killed or died in the holds of the ship as water gushed in and debris crashed on top of them. Some – like Scottish-born Anzac Private James Paterson of the 2/28th Battalion – jumped from the ship and tried to make their way to safety on makeshift rafts. Tragically, James died of exhaustion after days adrift in the Mediterranean. 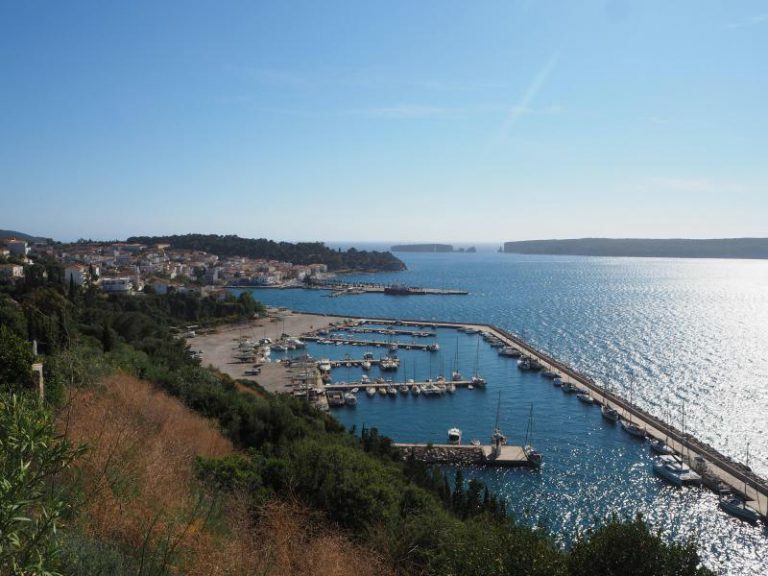 Yet the ship did not sink, and was eventually towed into Pylos harbour by an Italian warship. Here Bill came ashore with the other survivors. The dead were buried in the local Greek Orthodox Cemetery, and re-buried after the war at Phaleron Cemetery near Athens. 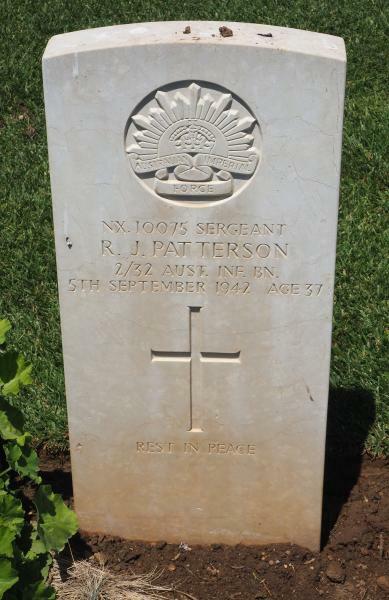 The sole Australian to be re-buried at Phaleron was Sydney-born Sergeant Robert John Patterson of the 2/32nd Battalion. Those missing would be commemorated at the El Alamein Memorial in Egypt. A similar story of death and survival had occurred with the Sebastiano Veniero-Jason off Cape Methone on 9 December 1941, in which over 500 were killed out of a total 2,100 Allied prisoners aboard the ship. Locals at Methone also assisted in the collection and temporary burial of the bodies of Allied soldiers washed ashore. Bill would escape Italian captivity and make his way to freedom across the border into Switzerland. After the war he worked in Europe with the United Nations Relief and Rehabilitation Administration. For many years, Bill has worked tirelessly to document the history of the Allied service personnel on the run in Europe – the free-men – creating and maintaining a website that is an invaluable resource to veterans, descendents, and researchers. Bill has looked forward to the day when these tragedies would be commemorated at Pylos and Methone. 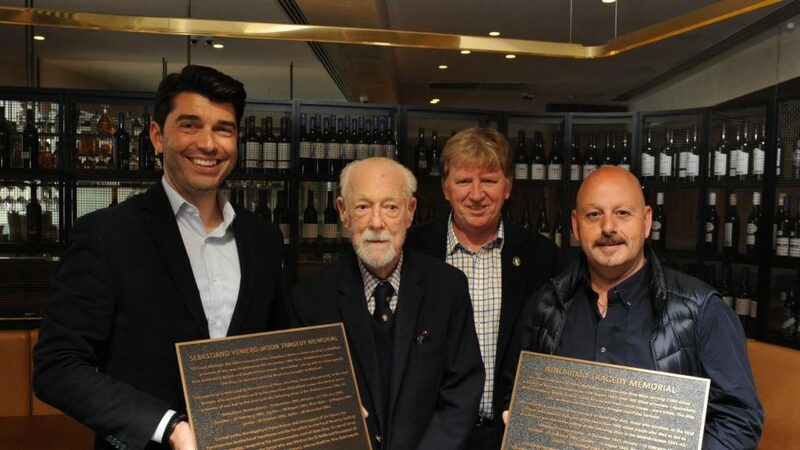 Melbourne’s Panpyliaki and Pammessinian Brotherhoods have come together to create two new commemorative plaques to be erected at the locations the survivors and the dead were brought ashore. The plaques honour the dead, the survivors, and the locals who helped them as they came ashore. George Saratsiotis and Rita Lambros said that it was a great day for their association, adding that it is “glad to have played a part in honouring the service of soldiers like Bill Rudd who came to our native Pylos in a moment of tragedy and were welcomed by the locals.” Ioannis Mitsakos added that his association was proud to help bring the story of these tragedies back to Methone and Pylos. “We should never forget those who served and those who gave their lives in the cause of freedom,” he added. Ange Kenos said that as president of the Essendon RSL he was honoured to attend the event, recognising the service of Bill Rudd and the other Allied soldiers who suffered in these tragedies during WW2. The assembled were privileged to hear Bill’s story. One of Bill’s memories of that tragic day in August 1942 was of the local Greek community helping the survivors by giving them food – figs and tomatoes – and in so doing risking retribution from the Italian guards. As they had also done after that earlier tragedy, helping the survivors of the Sebastiano Veniero as they were brought to Pylos from Methone. How appropriate it was for Bill to again enjoy some excellent Greek hospitality on this special day. And what Hellenic celebration would not be complete without a toast to Bill and his impending 100th birthday with Greece’s finest ouzo! During the celebration, Bill joined in conversation with Dimitrios and Angelo, exchanging stories of comrades passed and the human story of war. As a young boy, Dimitrios had witnessed local villagers of Koroni helping Allied soldiers escape to Crete. Angelo spoke of the day the andartes came to liberate Lemnos from the Germans, singing as they marched through his village of Kontias. The plaques will be sent to Greece in coming months for installation at Pylos and Methone. It is hoped that their installation will take place next year. 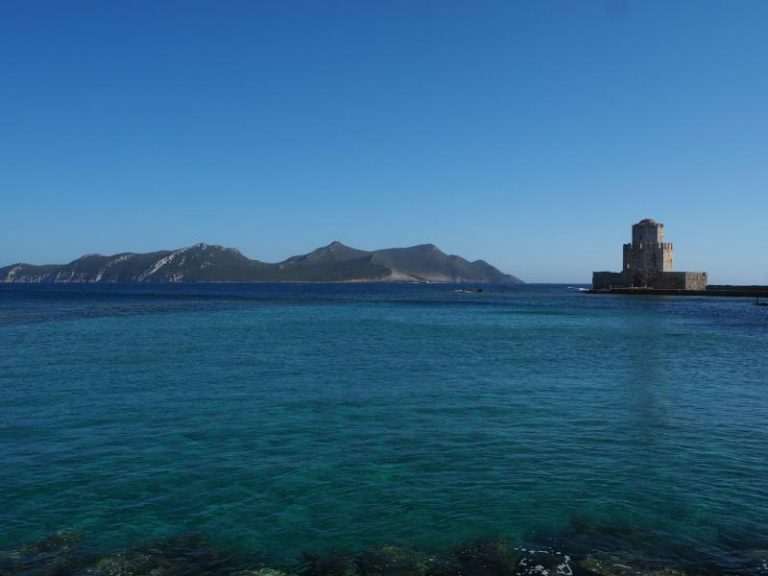 They will form part of Greece’s emerging commemorative trail, stretching from Lemnos and Thessaloniki, across northern and central Greece, the Peloponnese, Crete and the other islands of the Aegean. Discussions are currently underway to have new memorials erected on Lemnos, at Corinth, Argos and Nafplio, as well as on Crete. These will create a lasting legacy at many of the locations across Greece connected to the Anzacs – such as the battle fought at Corinth Canal, the suffering of those held in the prisoner of war camps at Corinth, Napflio, and Thessaloniki, the villages of the Mani where locals hid and supported Allied soldiers on the run from the Germans and the village on Crete where Australia’s sole Hellenic Anzac – Private James Zampelis – was killed. It has been an honour to meet Bill Rudd and to work with him and both the brotherhoods to create these new plaques which will be a permanent legacy of remembrance, linking Australia and Greece. A big thank you to Eleni Spanos and Tia Tsonis at Vanilla Restaurant for extending their hospitality to all who attended. *Jim Claven is a historian and freelance writer who has been researching the Anzac trail in Greece across both world wars for many years. He is secretary of the Lemnos Gallipoli Commemorative Committee and a member of the Battle of Crete and Greece Commemorative Council. Anyone interested in helping create the Anzac Commemorative Trail in Greece can contact Jim at jimclaven@yahoo.com.au.